With Valentine’s Day around the corner, the emphasis this month is on romance, roses, and lavish gestures of affection. Whatever your opinion of this day, February is a perfect time to focus on creating, healing and strengthening relationships. Whether you are seeking a relationship, embarking on something new, or have been with a partner for years, there is always room to improve and develop; the human heart has an endless capacity for love. Here are some tips to attract and improve relationships. We all have past experiences that affect us; this is a natural part of human behaviour. It is difficult to move onto a new relationship when you are focused on something that happened previously. Without exception, everyone has been hurt at some point in their lives. Learn from your past, but make peace with it, accepting it as a part of who you are, and allowing yourself to love freely and fully again. It is a fact that we as humans, tend to attract what we project. Wherever you go, make a habit of projecting a positive feeling of love to everyone you pass by, without discrimination. Projecting love in this way raises your vibrational energy, making you more open, positive and attractive to others. People respond well to compliments, and your kindness will often be reflected back to you. Saying kind words costs nothing, but can make someone’s day. Be generous with your words and try to find the positive in every person, and every situation. This can take practice, but is very worthwhile. Be kind to yourself in the same way, by learning to accept compliments. If someone says something nice to you, it’s all too easy to brush it off or say negative things about yourself. Learn to smile and say thank you! Whatever your relationship ‘status’, be open to new adventures and focus on enjoyment and having fun. It’s all too easy in the modern world to get caught up in the minutiae of life and feel as if we are too busy to relax, but the foundations of any good relationship are based on sharing, fun and laughter. This shouldn’t lose priority over time. Relationship problems are often caused by differing views, because others don’t live up to our expectations or because we don’t live up to theirs. Obviously, communication is an important way to resolve disputes and differences of opinion. Hoping the other person will change or suddenly see things your way is unlikely, unless you make an effort to communicate. 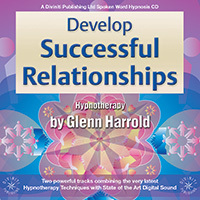 Try my harmonious relationship self-hypnosis technique to improve your relationships and develop more love and compassion for others. Read the following script through a few times before you practise it. Take yourself off to a quiet room where there are no distractions. Close your eyes and focus your attention on your breathing. 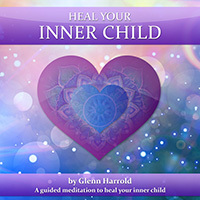 Begin breathing slowly and deeply until you feel relaxed and centred.Become aware of your heart, and connect with a very loving feeling. Think of someone you love dearly and imagine your heart is filled with pure white light, a white light that resonates with unconditional love. Feel this white light of love growing in your heart. Imagine the white light expanding out from your heart so that it begins to fill your whole body. Feel a strong sense of love and compassion for all things. Now imagine the white light expanding, filling your entire body and spreading out into your aura and further still. Make this deep feeling of love and compassion in your heart grow stronger and stronger and imagine that the white light projects out and away from your body in every direction. 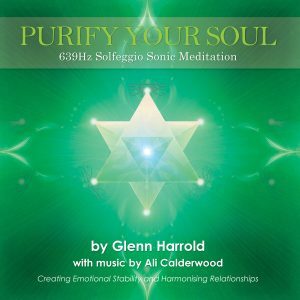 Visualise your white light of unconditional love reaching out now and engulfing others. It can be to people you know or to individuals who you want to improve relations with. Or it can be general. I love to develop positive relationships with people. I am full of forgiveness and love. When you state your affirmations, draw the words inside you and really believe they are a reality. Put positive feelings of love into each phrase and totally believe in what you are affirming. The more you believe in the phrases, the stronger they will become. 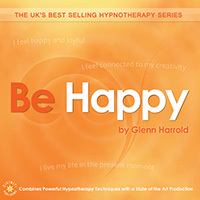 Practise this self-hypnosis technique a few times and repeat the affirmations regularly to get the best results. When you are ready to finish, allow you mind to clear and count slowly upwards from one to ten, and open your eyes and come back to full waking consciousness. Please post a comment below, I’d love to hear your feedback. Glenn, your CDs are amazing. I will never be able to thank you enough for all the love you share through your work! You have changed my life for the better and I know you are a deeply kind person. Thank you!